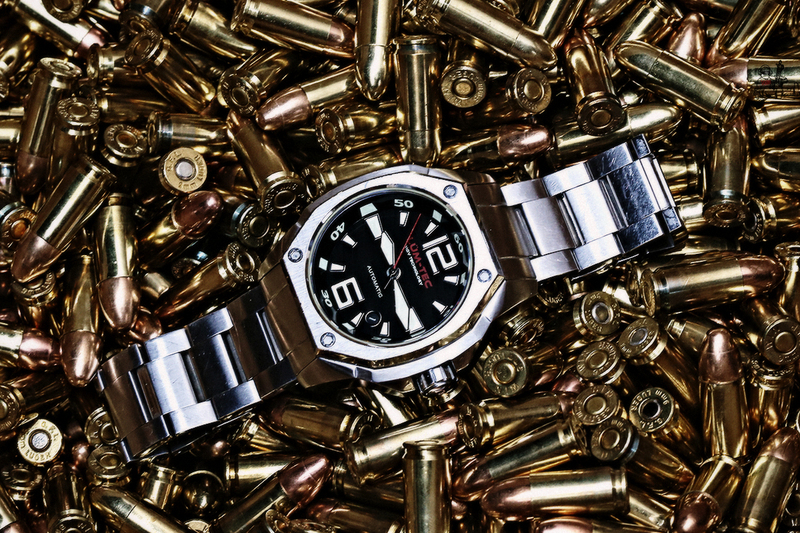 Per Lum-Tec's website, the V1R is a limited edition of the V-Series of watches which has a "ETA 2824-2, LUM-TEC MDV's Technology and Sapphire Crystal with AR coating on the front and rear" and a bunch of other stuff. I bought this when it first came out. I believe I paid a little less than retail, $800ish or so in November of 2012. 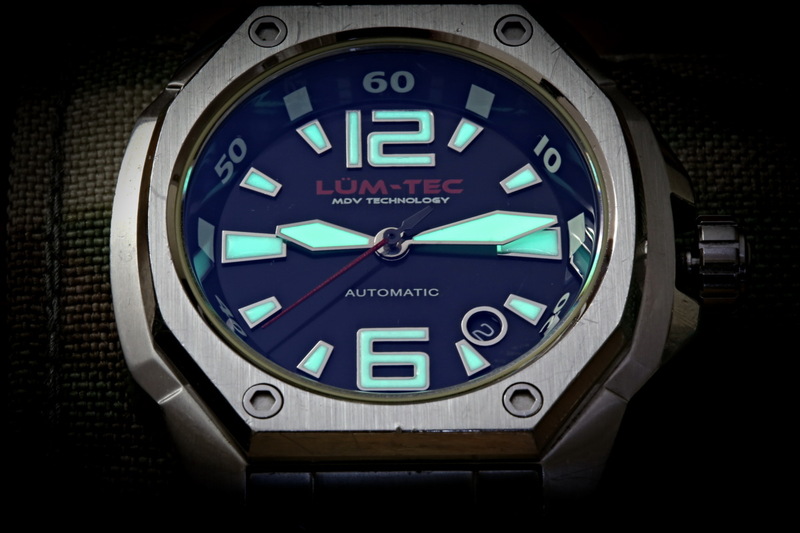 The luminescence that Lum-tec has developed, their MDV technology, is pretty awesome. 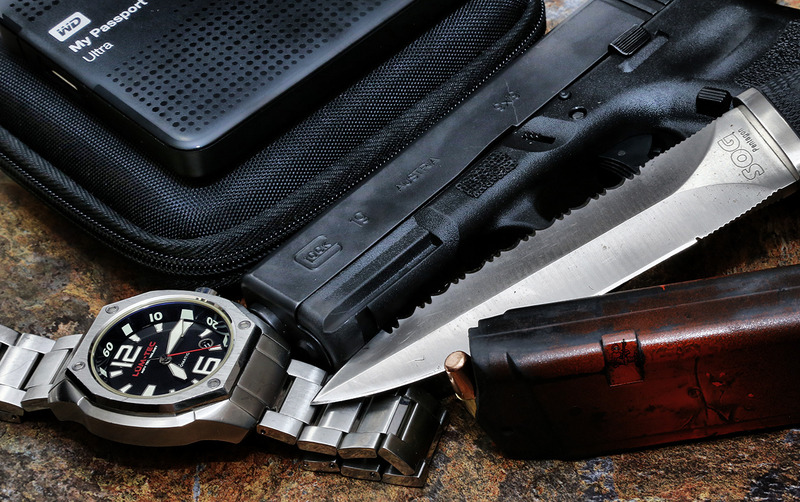 If you have never seen a watch's lume go off at night or in the dark you would be impressed on how bright Lum-tec's MDV is. 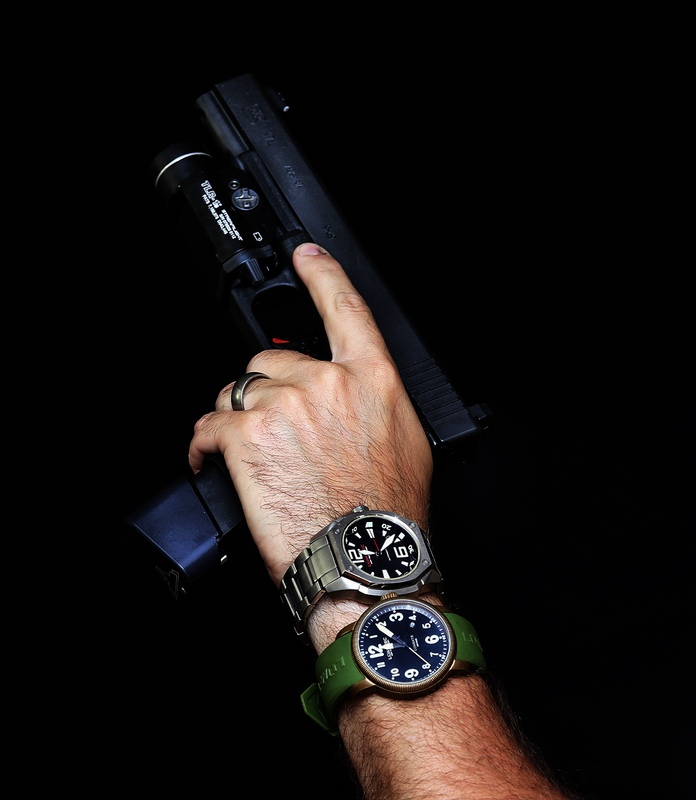 The V1R is also 44mm which is the sweet spot in my opinion for a good sized watch. Out of the triple box, the V1R came with leather, rubber and the metal band, also some extra spring pins. 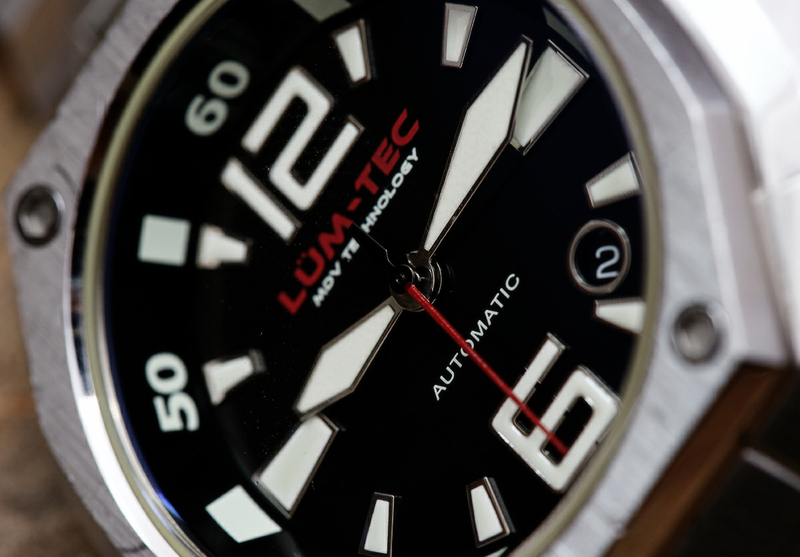 Unlike many other watches I have owned throughout the years, this one offered a good amount modularity and not just through different bands but it is built pretty tough and Lum-tec offers a pretty comprehensive warranty. 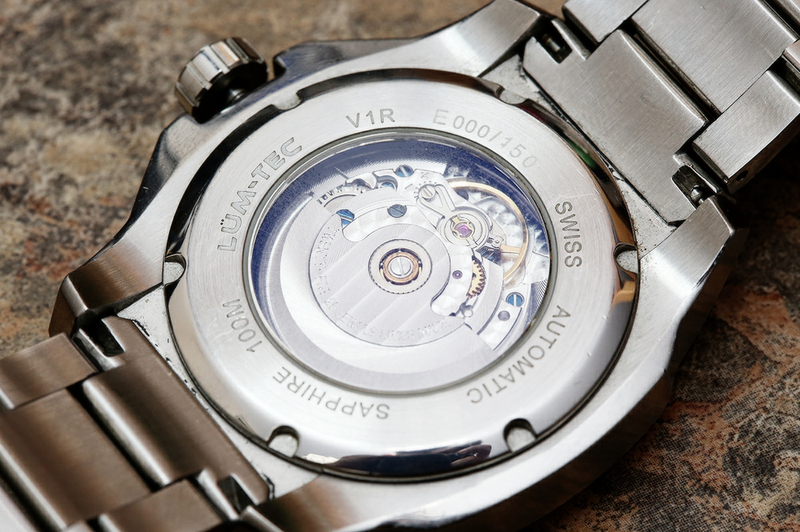 The 12 and 6 o'clock are the only numeral numbers on the flat dial and 10-60, for every ten minute increments on the 3D part of the dial (sloped bevel dial). The case is three piece (bezel, case itself, case back), the front bezel is held in place by four hex screws that are recessed into it. This also makes the case water tight. 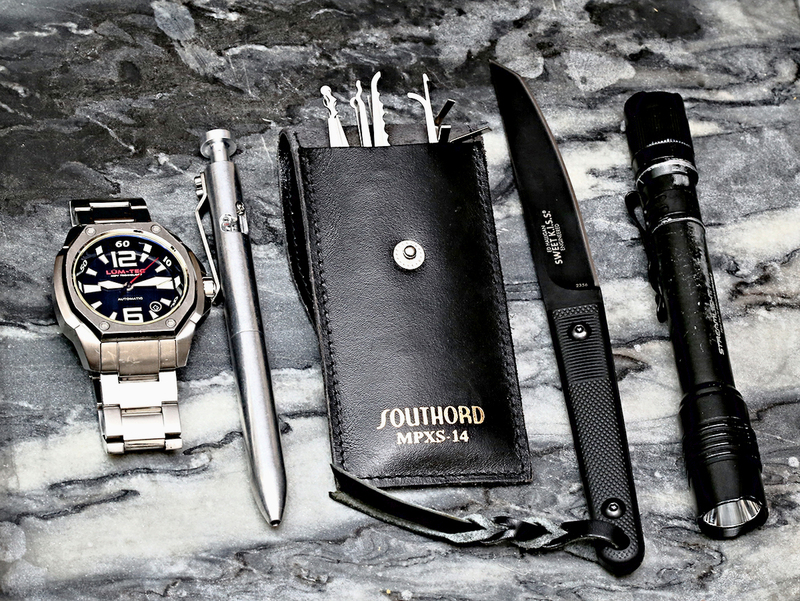 I wore the watch in a number of classes, training sessions and EDC, on and off since I bought it. The watch has held up well. The crystal does not have a blemish on it. The rear glass was not scratched and showed no sign of wear. 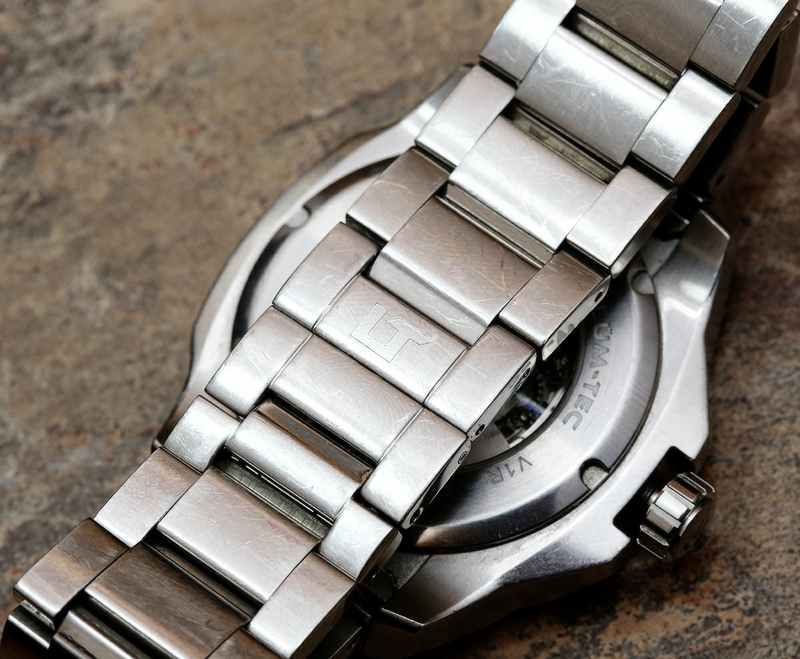 The ETA branded movement keeps near perfect time and holds the same power reserve it did when I first put it on. 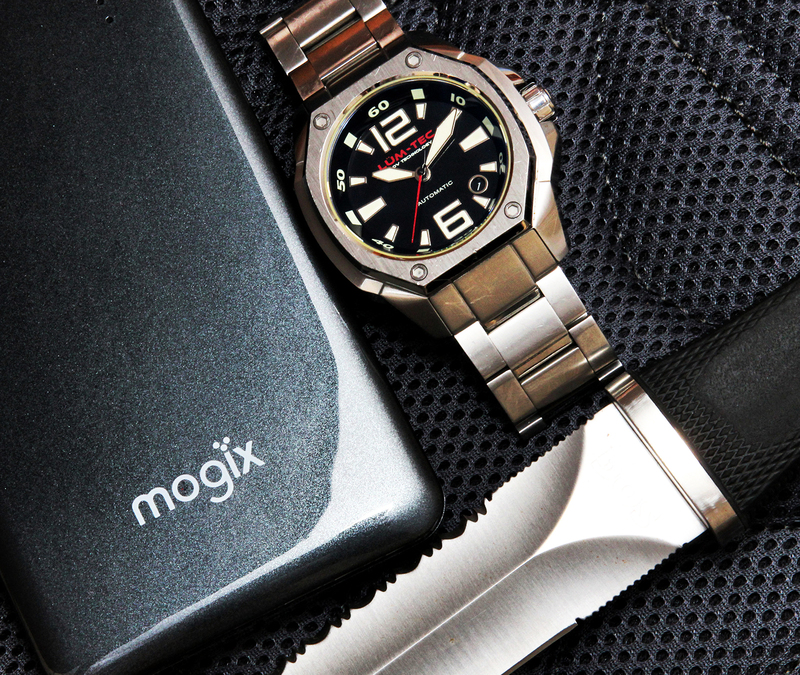 The metal band is not in the best condition but it has seen nearly two plus years of continuous use. I very rarely wore the rubber band that came with it and never wore any way of the leather straps that came with it. The crown has never given me an issue and it screws down tightly into place, keeping the inside parts water tight. The luminescence did not dimmer in the time I had the watch on my wrist, though most lume with get darker after a few years, this one has been the same as the day I bought it. The watch has always kept time, the date always changed without issue, crisply at 12 o'clock and has developed the feel of a more expensive watch. 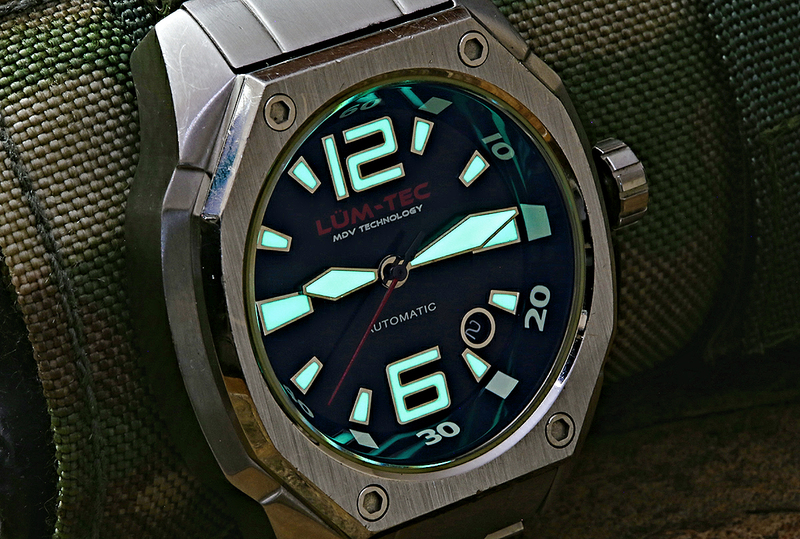 The V1R is a very good representation of what Lum-tec can produce, especially in a limited edition body. 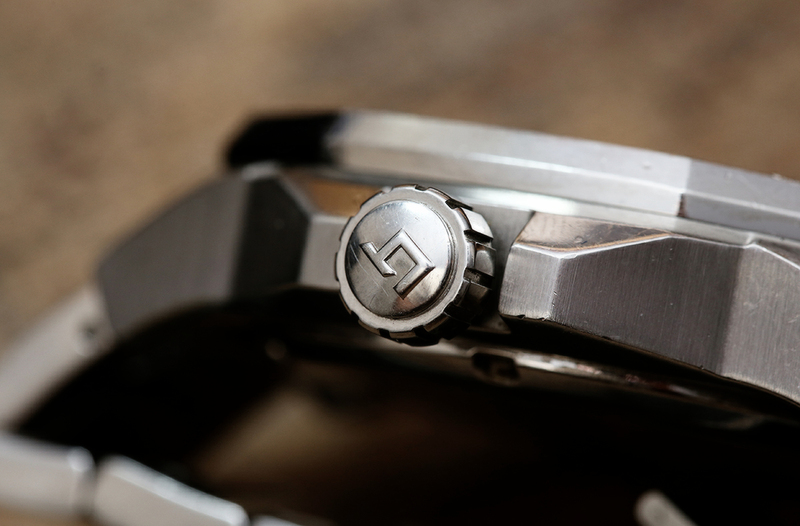 I have since purchased a V7 which is the same type of watch but with a PVD bezel, cool concept. 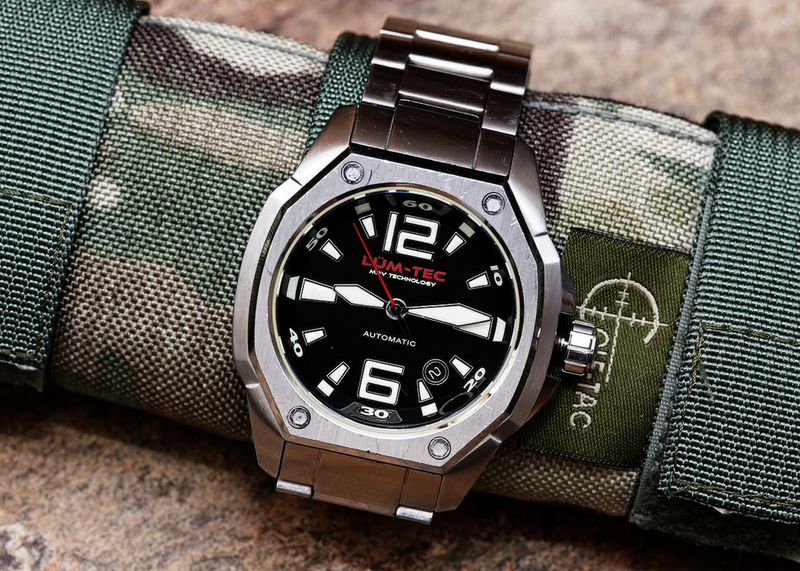 While I will probably end up keeping the V1R, I have taken more of a liking to the Combat-B line of Lum-tec watches. If you are reading this review then you have probably seen me posting photos of the B18 Bronzo and B28, which I have been wearing more and more. 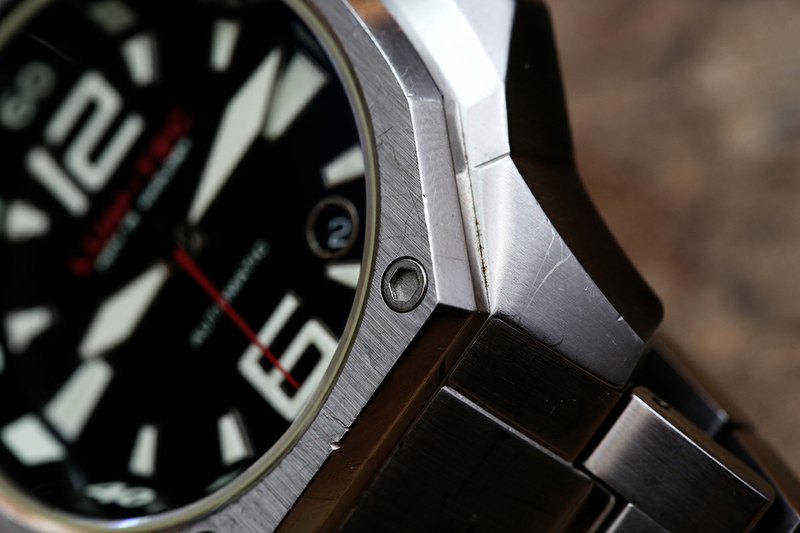 The V1R is definitely worth its cost as it competes very well with other watches in its price range.